When a rival employment agency begins an aggressive radio campaign, Harry suggests Lucy find celebrities to fight back with their own radio endorsements. Not able to find any celebrities, Kim suggests to Lucy her current date, impressionist Rich Little. 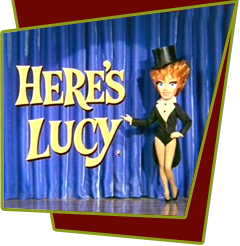 Lucy schemes to fool Harry into thinking Rich's impressions are the voices of actual celebrities she has commandeered. This gets her into trouble with one celebrity voice, Jack Benny. Special Notes: Jack Benny makes a cameo appearance. This is his fourth appearance on the show, and each time it's as if Lucy has never met him.